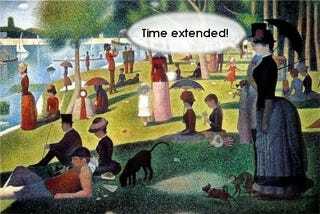 Our Seurat painting here is in bonus time. Talk Amongst Yourselves readers, please provide some image suggestions for June. Include the name of the work and the artist. And while you're at it, talk here about video games? Thanks.